In 1859 a man named George Dingley bought 64 acres of land on Wild Horse Creek in upper Green Valley. He built a flour mill, which is known as the Dingley Mill. A mill is a building with machinery for grinding grain into flour and meal. 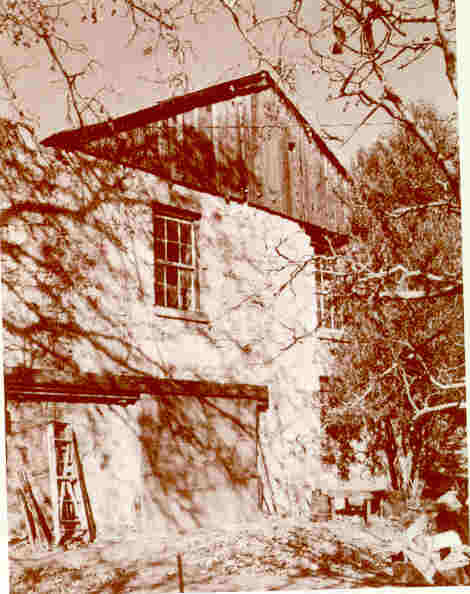 The Dingley Mill provided Solano County with flour. The Dingley Mill was the first mill that ever had a water wheel as its power source. During the Civil War a woman named Mary Eliza Parker got her skirt caught in the water wheel. Mary Eliza Parker was half laughing when her dress got caught in the waterwheel. She told the man who was operating the mill and he said, "Little girl, your dress is caught. We must get you out of there." But it was too late! She fell in, hit her head and died. The legend is that people can still hear her screams at night. In 1859, George Dingley rebuilt the mill to three stories of stone construction. In 1867 a mysterious fire occurred, and destroyed most of the building, but the stone foundation remains.